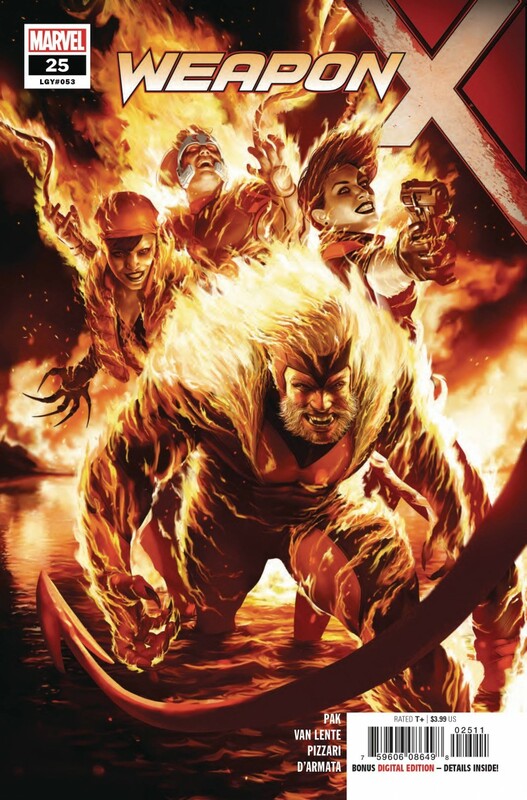 SABRETOOTH AND WEAPON X-FORCE BURN IN HELL! Weapon X-Force needs to go to hell! But the only one who can take them there is the devilish lothario called Azazel! He can…but will he? It’ll take every trick in Mystique’s book to make him see the light!